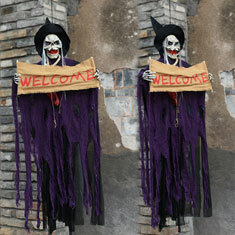 -This prop is perfect for events or parties. 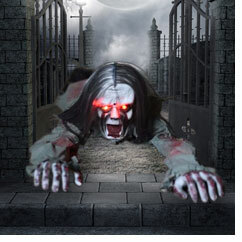 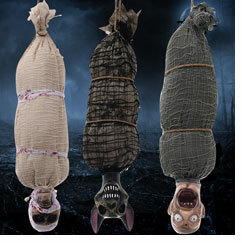 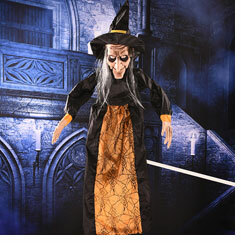 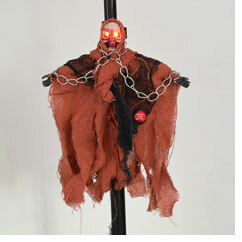 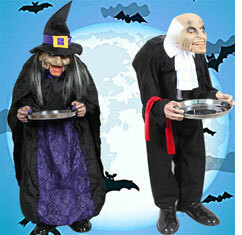 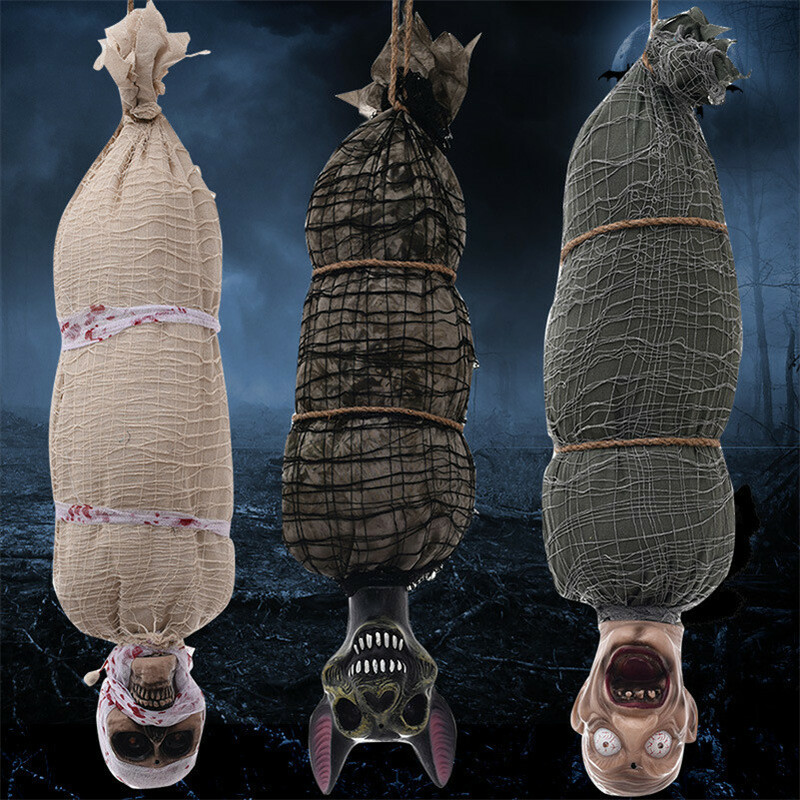 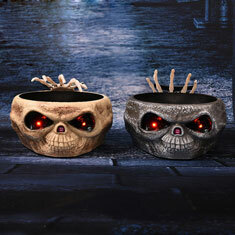 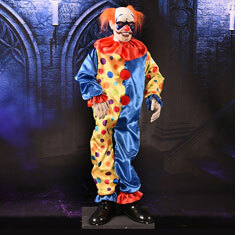 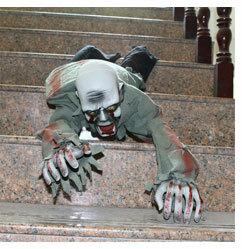 It can be used to decorate Halloween parties, a haunted house or bars. 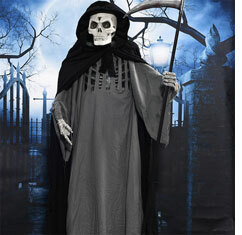 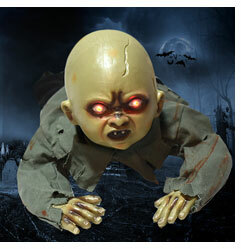 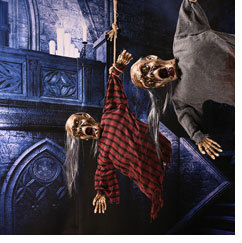 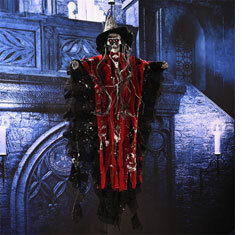 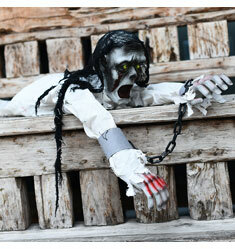 -The creepy prop features a skull skeleton with broken linen clothes. 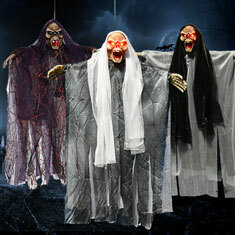 -It can create a scary atmosphere.